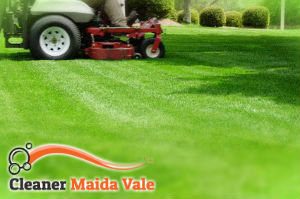 As the leading gardening contractor in Maida Vale and the surrounding area, we are committed to providing expert grass cutting services to state, residential and commercial property owners. We like to reach as many customers as possible, which is why our rates are designed to fit any budget, big or small. But affordability is not the only advantage of booking our services. We aim to provide the highest quality in this trade, but more importantly, we always succeed in this endeavour as we work with a team of skilled, diligent and highly motivated professional gardeners. 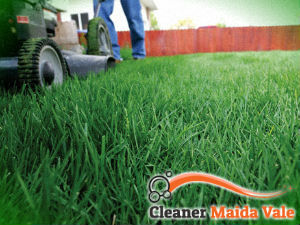 Mowing your lawn’s grass at a regular basis will greatly improve its appearance, enhance its healthy, dense growth and make it more resistant to various diseases. Unfortunately, many people find themselves skipping on this chore as they lack the time and energy required. If you are one of them, we suggest you give the grass cutting we provide in and around Maida Vale a try. Why not? We charge the best prices you can possibly find, offer free estimates and always render impressive results. We have our expert gardening team and professional equipment to thank for our success. This high-quality service includes grass height reduction, mowing in a pattern, edging around trees, curbs, walls, fences and driveways, clippings removal, weed and pest control. Of course, as a leading gardening contractor, we offer a wide array of other gardening services like mulching, tree surgery, pruning, scarification and fertilisation, among others. We also provide regular maintenance packages at preferential rates. Arrangements for our grass cutting services are made over the phone, but you can conveniently fill your details and requirements in the service form on our website. We expect you!